To deliver our projects, we work with partner organisations who share our values, help maximise resources, increase audiences and eliminate duplication. Since 2001 we have worked with over 150 partners, and are actively in touch with dozens of peer organisations to develop ideas collaboratively. Partners are important for us to work with so we don’t duplicate the services of other organisations, can work more strategically, and allow our three part-time staff, all of whom are practicing artists, to do more. A sample of our partners is below. If you have an idea for a project that we might be interested in, get in touch with us – take a look at our current projects to see the sort of thing we like to do. Strategic partners: people we work with to help build a stronger artist network and advocate for change. The Contemporary Visual Arts Network nurtures contemporary visual artists and organisations to produce internationally regarded, critically engaged work that is valued by society. A trade union for professional visual and applied artists, AUE aims to represent artists at strategic decision-making levels, positively influence the role artists play within society and challenge the economic inequalities in the art world to negotiate fair pay and better working conditions for artists. 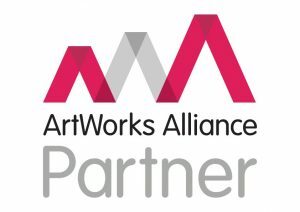 Formed in 2015, ArtWorks Alliance is the UK umbrella for organisations with strategic or developmental interests in any branch of participatory arts, including community arts, socially-engaged arts, voluntary arts, and arts in education and learning. Membership covers all artforms, geographic areas, ways of working, and purposes of the work. Artquest is a founding partner in the network. The representative body for visual artists in Ireland: providing practical support to artists in all art forms throughout their careers. We share information, research and web content, and are inspired by their innovative programme of insurance, apps, debt collection services and advice. The Sector Skills Council for Craft, Cultural Heritage, Design, Literature, Music, Performing, and Visual Arts and bridges the gap between industry, education and the government to give employers a real influence over education and skills in the UK. Programme partners: people we work with on particular parts of our programme. Campaigning for the rights of visual artists and paying them royalties that help sustain their practice and livelihood. We work extensively with DACS: on a debate series in 2012, on setting up a new small grants fund for artists since 2010, and on a publication launched in late 2014. A business consultancy that helps clients with projects in all areas of creative and cultural practice. It was founded by Henry Lydiate, one of the UK’s most respected visual arts legal specialists, with over 30 years experience in working with artists to resolve their legal problems. Henry, together with his colleagues, provide specialist legal responses to visual artists and craftspeople in London through our free Artlaw information service, as well as being the author of the Artlaw archive, and online knowledge bank of art related legal articles published since 1976 in Art Monthly magazine, and available to view for free on Artquest. University of the Arts London supported advice and information portal for issues on intellectual property for creative business. The Creative IP website contains a large knowledge bank of useful articles and links on any intellectual property related question, as well as an overview of intellectual property and how it can be protected and exploited. We share online information and advice with Creative IP, and have a reciprocal referral arrangement for enquiries with our Artlaw legal advice service. Careers and Employability supports UAL students and graduates to develop enterprise and employability skills, and make and take opportunities. They want to help individuals fulfil their potential as practitioners, employees and entrepreneurs. Internationally acclaimed for their exhibitions of contemporary art and pioneering education and public events programmes, the gallery hosted our Practice 360 talks programme. Since 1976, Art Monthly has been a leading magazine for contemporary visual art. Published ten times a year, it provides in-depth features, interviews with leading lights, profiles on rising stars and up-to-the-minute coverage of trends from independent critics. Art Monthly also publishes Henry Lydiate’s Artlaw column, which has been accessible for free on the Artquest website since 2003. Pump House Gallery is a public contemporary exhibition space housed in a distinctive four story grade I listed Victorian tower at the centre of Battersea Park. The diverse range of exhibitions are supported by workshops, temporary projects and one-off events that explore the different ways art can be made, experienced and interpreted. Pump House Gallery hosts one of our AWP Internships. Cubitt Gallery and Studios is an Arts Council-funded artist-led organisation in Angel, Islington. Comprising of an internationally-recognised contemporary art gallery, 30 studios for professional artists, and a local education programme, Cubitt is a unique hub for the development in curatorial, artistic and educational practice in the visual arts. Cubitt is one of the hosts for Peer Forum, our Peer Mentoring programme. New Contemporaries is the leading UK organisation supporting emergent art practice from British Art Schools. Since 1949 New Contemporaries has consistently provided a critical platform for new and recent fine art graduates primarily by means of an annual, nationally touring exhibition. Artquest are working with New Contemporaries to provide a professional development support and mentoring programme to help orientate emerging artists in the art world. The dozens of artist studios we work with on Outpost, our monthly studio visit advice sessions. Contract Store is an exclusively online business offering legal documents for commerce. Artquest users can download selected free and reduced-rate contracts for the arts. New York Foundation for the Arts (NYFA) provides the resources that artists and arts organisations need to thrive. Established in 1971, NYFA’s mission is to empower emerging artists and arts organisations across all disciplines at critical stages in their creative development. NYFA provides fiscal sponsorship, online resources, professional development and grants. Support partners: people who do projects and programmes we’d otherwise have to – we support their aims with advice, co-funding, promotion and programme sharing. A festival to showcase the work of pioneering young artists, curators, galleries and project spaces in London, organised by Art Licks. We sponsor the annual Workweek Prize, rewarding our favourite exhibition of the festival with a joint award for the exhibiting artist and gallery. Open cross college crit groups, run monthly across various UK art colleges, that aim to break down barriers to art education and contemporary art and support people into, through and beyond art education. Q-Art also produce popular publications and videos, and run educational workshops for art colleges and galleries. Lawyers Volunteering for the Arts (LVFA) was set up in 2012 by a group of London law firms who wanted to offer pro bono legal support to non-profit arts organisations. Eclectic museum based on the collection of Frederick John Horniman, Victorian tea trader and philanthropist, who began collecting objects, specimens and artefacts ‘illustrating natural history and the arts and handicrafts of various peoples of the world’ from around 1860. 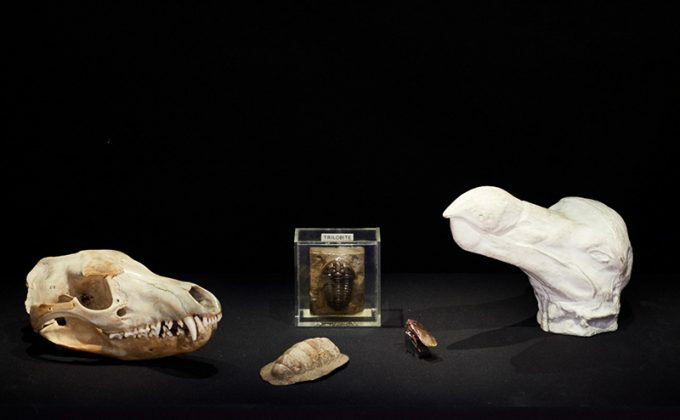 Located in Forest Hill, the Horniman Museum hosts the Horniman Residency. The Foundling Museum tells the story of the Foundling Hospital, London’s first home for abandoned children, and of three major figures in British history: its campaigning founder the philanthropist Thomas Coram, the artist William Hogarth and the composer George Frideric Handel. The Museum’s nationally-important collections are housed in a restored and refurbished building adjacent to the original site of the Hospital, which is now Coram Fields children’s playground near Russell Square. Each year The Foundling Museum hosts our Foundling Residency, offering an artist a research base, access to collections and staff to help build a new body of work or project. The Arts Catalyst commissions art that experimentally and critically engages with science, producing provocative, playful, risk-taking projects to spark dynamic conversations about our changing world. The Arts Catalyst worked with us on our Beam Time residency, and continues to help us find partners for our second, changing research residency opportunity. M4gastatelier is a temporary living, project and work space in the heart of Amsterdam for international artists. It is based in the long-established M4 studios complex, an artist-led co-operative housed in a former letterpress factory comprising artist studios, live/work spaces and creative visual arts and crafts businesses. Artquest and M4gastatelier collaborated on our Going Dutch residency, which until 2014 sent a professional London-based artist to Amsterdam for a three-month supported working period. Milchhof is an artist-led studio organisation in Prenzlauerberg, Berlin, in the heart of the creative quarter. Membership comprises visual artists, makers and small creative businesses, and together they maintain and curate a small gallery space on the property. Milchhof also houses the ACAVA live/work studio that we sent a London-based visual artist for our <<3 months in Berlin>> residency until 2014. ACAVA is a major provider of affordable artists studios in London, leasing and renovating studios to artists across the capital. Artquest collaborated with ACAVA on our <<3 months in Berlin>> and OZ residency programmes, and currently works with us on our Life Boat programme of graduate residency opportunities for UAL fine arts graduates. Network partners: people we work with on strategic networks as well as frequent programmes. LSW is London’s first open access sculpture workshop: a not-for-profit, community interest company with exceptional facilities for artists/makers and those interested in making work in 3D. LSW offers a superbly equipped metal and wood workshop and additional mould-making and ceramic areas and over 2,500 sq ft of flexible working areas. engage is a membership organisation representing gallery, art and education professionals in the UK and in 15 countries worldwide, and promotes access to, enjoyment and understanding of the visual arts through gallery education. The UK professional association promoting community music and supporting community musicians through professional development, information and advice, advocacy and lobbying, and membership. FCD is the professional organisation for anyone involved in creating opportunities for people to experience and participate in dance. The Foundation works with, and on behalf of artists, organisations and teachers involved in leading, delivering or supporting community and participatory dance. Founded in 1980, a-n The Artists Information Company is a leading UK agency supporting the practice of visual and applied artists. Through advocacy and information and from the perspective of artists, a-n’s mission is to stimulate and support contemporary visual arts practice and affirm the value of artists in society. Artquest shares the belief that sustaining a diverse sector requires fair pay as standard. Artists and galleries must negotiate the conditions, including pay, that they need to produce great art. We welcome the dialogue around the complex issues of fair pay for artists that a-n’s Paying Artists campaign initiates. UAL is Europe’s largest specialist arts and design university, with close to 19,000 students from more than 100 countries. Established in 2004, UAL is a vibrant world centre for innovation, drawing together six colleges with international reputations in art, design, fashion, communication and performing arts: Camberwell College of Arts, Central Saint Martins, Chelsea College of Arts, London College of Communication, London College of Fashion, and Wimbledon College of Arts. UAL provides Artquest around 60% of our annual turnover in cash and support services. Arts Council England champions, develops and invests in artistic and cultural experiences that enrich people’s lives, supporting a range of activities across the arts, museums and libraries – from theatre to digital art, reading to dance, music to literature, and crafts to collections. ACE provides us with around 38% of our annual turnover: Artquest is part of their National Portfolio. Artquest is a small part-time team of practicing visual artists who deliver and co-ordinate our services, maintain the website and produce new events and projects. In 2012-13, we worked with over 170 freelance visual artists to devise, deliver and develop our programme, ensuring it stays relevant to current practice.